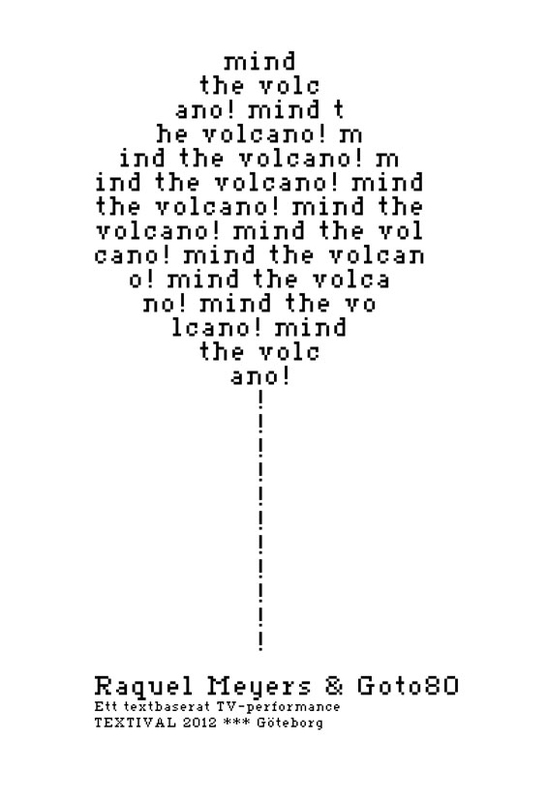 Mind the Volcano is a text-based TV-performance that premiered at the literature festival Textival 2012 in Göteborg. It is an improvisation based on books by Lennart Hellsing, Peter Newell, Hans Traxler and Lewis Carroll. The music is made by Goto80, and is played through 40 headphones. His music tool also uses text graphics, which makes it a part of the visual story aswell. The letters and symbols sometimes form words and sentences, but are primarily used as graphical building blocks. The graphics are typed letter-by-letter, as a form of keyboard craft. 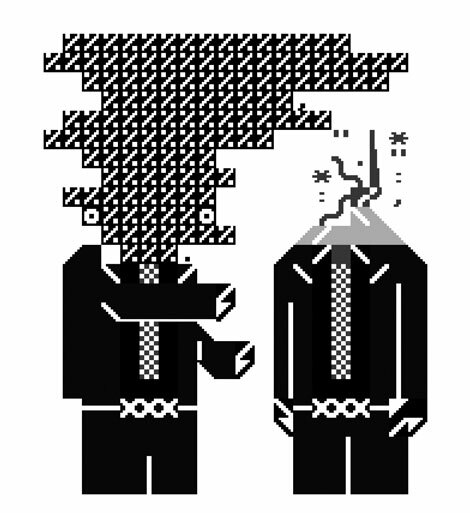 That enables a special form of animation which looks similar to a real-time drawing, but using a typewriter instead of a pen. As such, the stories occur inbetween the language of film and the logic of the typewriter.